A few days ago, Huawei unveiled the latest version of its EMUI software: EMUI 9. Based on Android 9 Pie, the latest version of EMUI brings a new design with a streamlined user interface, various unspecified software optimizations to improve performance, GPU Turbo 2.0, Huawei’s take on Google’s Digital Wellbeing service, and a new gesture navigation system on top of the standard Android Pie platform features. Huawei opened up applications for an EMUI 9 beta program but limited it to 100 members in select regions who own the Honor 10, Honor View 10, Honor Play, Huawei Mate 10/Mate 10 Pro, or Huawei P20/P20 Pro. The beta software that was shown off at IFA 2018 did not include the new gestures, but we managed to get our hands on an updated version of the EMUI 9 beta that does have the new gesture controls. The new gestures are available in EMUI version 9.0.0.47 for the Mate 10 Pro. 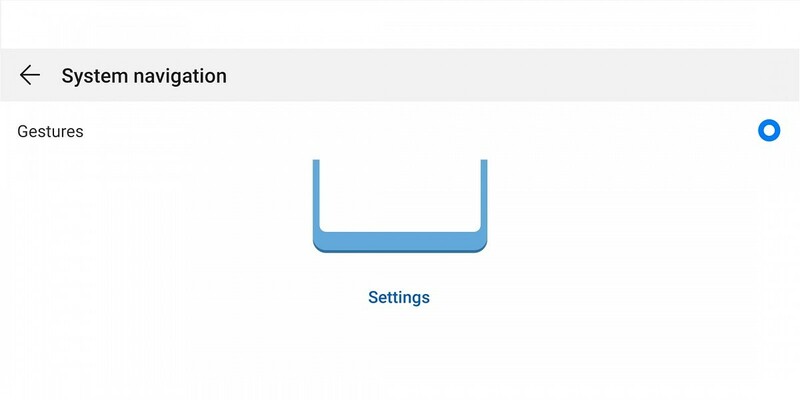 The same EMUI version on the Huawei P20 Pro does not have these gestures, and EMUI version 9.0.0.46 running on the Honor 10 does not have these gestures either. It’s possible Huawei is testing these gestures on the Mate 10 series before rolling it out for their other devices. Here’s a short video of the new gestures in the latest beta build on the Huawei Mate 10 Pro. You can enable the new gesture controls by going to Settings, then System, and finally System navigation. When compared to the pill-based gestures from Android Pie and Motorola, I personally prefer any of the three full-screen gesture variations because you gain more screen real estate. Samsung Good Lock’s One Hand Operation is a unique take on gestures, though I’m personally not a fan because it needs awkward diagonal swipes. Out of the three full-screen gesture variations, my personal favorite is OnePlus’ take followed by MIUI and lastly EMUI 9. I prefer OnePlus’ take because I find it easier to perform all gestures from the same bottom edge. My only complaint with OnePlus’ gestures is that you can’t launch Google Assistant easily, which we addressed in our customizable Navigation Gestures app. EMUI 9’s gestures and MIUI’s gestures are very similar, but EMUI 9’s gestures let you launch Assistant from the bottom sides which I actually see as a downside because the trigger area could interfere with the home gesture. FunkyHuawei has made a sale for XDA readers interested in installing the latest EMUI 9 beta on their device. All you have to do is log in to your account on the website and then go to this page. Once you’ve done that, find the firmware labeled as “EMUI 9 Beta” that matches your model. Then, you can follow the instructions to sideload the update via eRecovery. FunkyHuawei did not pay us for mentioning their service nor do we get any profit from their service. They provide a useful service that allows us to obtain pre-release firmware for Huawei and Honor devices, so we are frequent users of their service. If you don’t want to pay for the service, then you can wait for the software to be made available either officially or by other means.